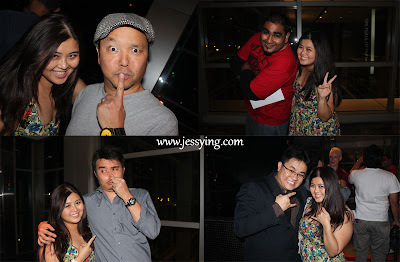 I just went to the launch of Kings and Queen of Comedy Asia 2011 few days ago and Oh my !!! I haven't got such a good and hard laugh .... 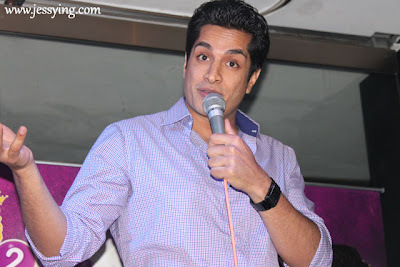 I was glad I went for the event despite not feeling well...amazing I feel better after that!!! No wonder there is a proverb "Laughther is the best medicine"
Nadia Hadia was the MC for the day and she was sharing that the inagural show for Kings and Queen of Comedy Asia was back in Oct 2010 and it was a huge success and they are back in KL again with sold out shows in Malaysia and Singapore! 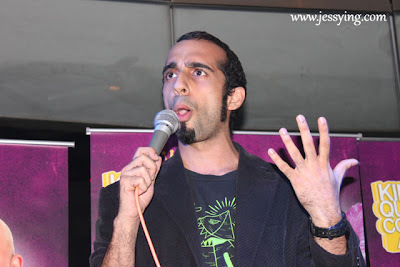 This year they are presenting 5 major comics from overseas and 2 Malaysians!!! 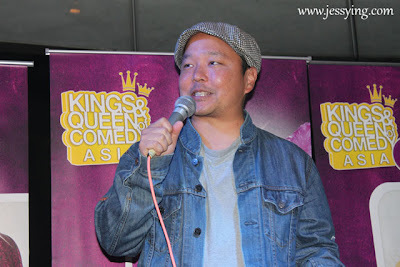 For your information, Kings and Queen of Comedy Asia is the product of th The Comedy Club Asia , where it is a collaboration of its 2 entities The Comedy Club Singapore and The Comedy Club Malaysia. This Kings and Queen of Comedy Asia is a Stand-Up Comedy where it is a form of art and has grown only in recent time. Let me introduced the comedians! Sugar Sammy from Canada can fluent comedy in English, French, Punjabi and Hindi. His HBO Canada show was one of the network's highest rated TV Special. 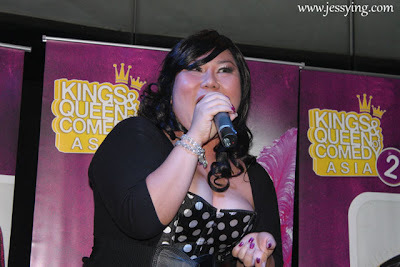 Joanne Kam Poh Poh is a Malaysian , and one of the very few Asian female stand up comic who has carved a career in this male dominated industry !! Her jokes are sexyy and hottt!!!! Everyone knows him! Harith Iskander is Malaysia's premier stand-up comedians and he has performed for more than a decade!! 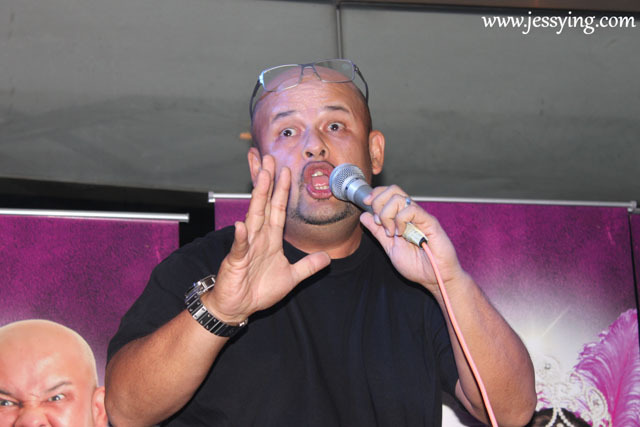 Not only he is our country No 1. comedian, Harith is an accomplished , award winning fim director and writer too! Since these people are the funniest group of comedians from Asia or of Asian descendants from around the world, I got to take some pictures with them ! There are some local comedians from the MACC joined us for the night .. MACC means Malaysian Association of Chinese Comedians. Managed to get some funny pose from them! 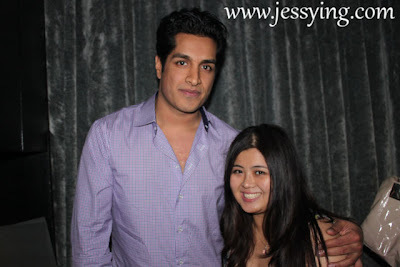 This is not funny.. Sugar Sammy is so freaking tall! Must go and watch this and you will have the laugh of your life!! !